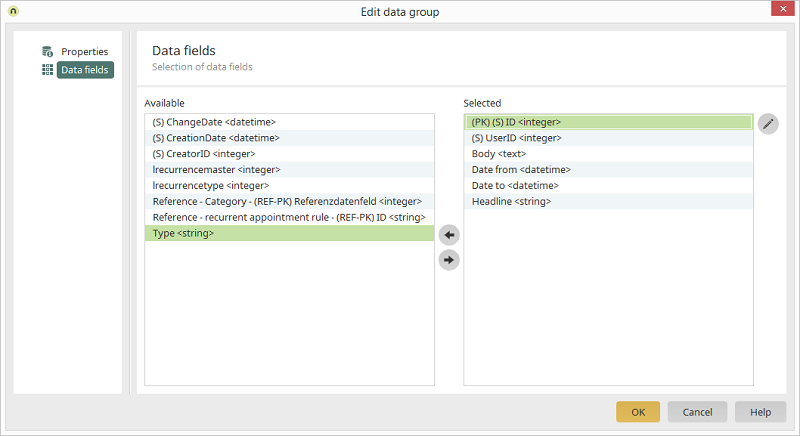 Every data field from the currently selected data group is listed here. Every data field included in the OData service is listed here. Opens a dialog where the field properties can be edited. Move the currently selected data field from one list to the other.